There’s no doubt about it, the kitchen is the main focus in many households. Whether you like to have family and friends over for dinner or some drinks, the kitchen is most likely the center of your entire house. Not only do you entertain guests within the walls of your kitchen, but you cook and enjoy meals with all of your favorite people. 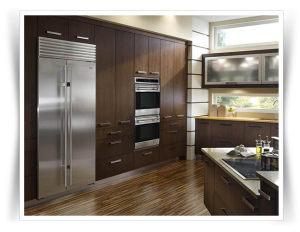 When your kitchen is the center of attention, you must make sure all of your kitchen appliances are operating smoothly, such as your refrigerator. If you’ve ever experienced a refrigerator on the fritz, you’ve dealt with food that’s gone bad and the frustration that seems like it’ll last a lifetime. Next time your fridge is on the fritz, give our refrigerator repair team in Shaker Heights a call. Inconsistent temperatures. Have you noticed iced over fruit and veggies or warm yogurt? If so, your fridge has been giving you inconsistent temperatures; this is a sure sign of a problem. Both your refrigerator and the connected freezer should be keeping all of your food stored within it nice and cool, no matter what shelf the food is on. If the food on the top shelf of your fridge is freezing and food in the bottom fruit drawers are warm, give our refrigerator repair experts a call for help. Energy. Your refrigerator should last a homeowner anywhere from 13 to 15 years. At the end of its life, it’ll start to become less efficient and you will most likely notice a jump on energy bills. To put things into perspective, if your fridge is older than 2010, it’s probably time to replace it. So, if you’re concerned about the amount of energy your fridge is using each month, it’s time to step back and take a look at your appliance as a whole. 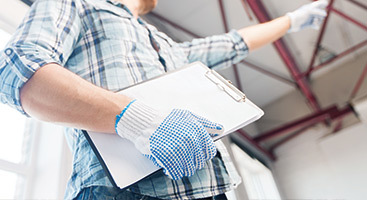 Efficiency is key and our repair technicians can help you decide whether or not you’re better off getting a new fridge or not. 3. Disturbing compressor. Whether you like to hang out in your kitchen or not, a disturbing refrigerator can be a deal breaker. Your fridge shouldn’t be making any noise and should be silent. 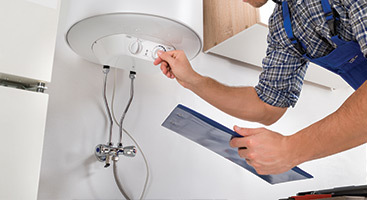 Depending on the age of your refrigerator, you may need a compressor replacement or a new fridge. If you’re concerned about how much noise your fridge is causing, we recommend you learn about your refrigerator’s score. The score is the measurement of loudness and a few other key elements, such as how consistent temperatures are. 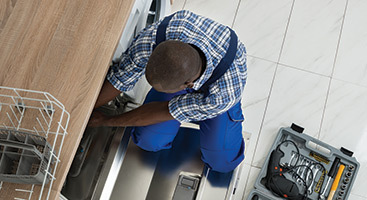 Our appliance repair technicians in Shaker Heights can help you learn about your refrigerator’s score. 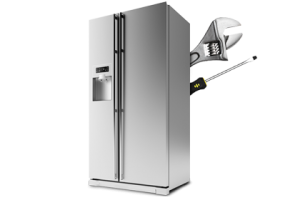 Do you need refrigerator repair from our experts? 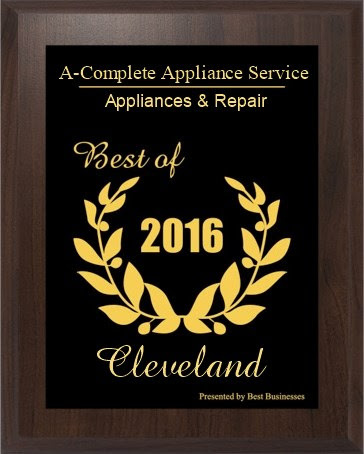 Contact the leading refrigerator repair experts in Shaker Heights today. We want to help you learn more about the health of your refrigerator. You shouldn’t have to deal with inconsistent temperatures, a high energy bill or a loud fridge. 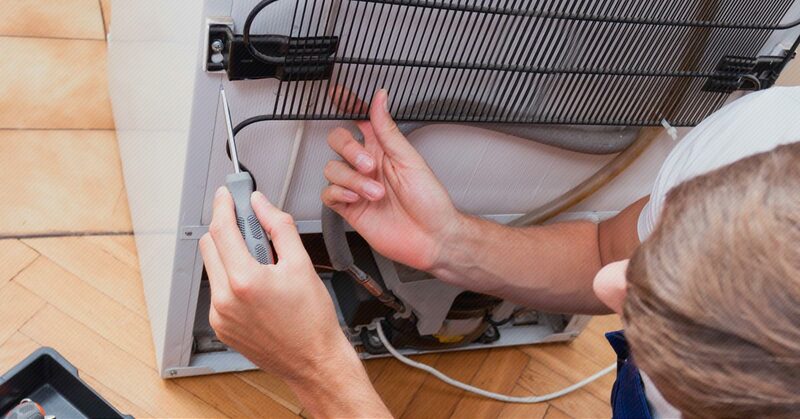 At Complete Appliance Service, Inc., we’re standing by to help you get to the bottom of all your appliance problems. Call our team of experts or set up an appointment online today.